These may seem so natural, however, God, the Father of Creation, never meant for us to be driven by such destructive forces. These things will not only violate the Divine Laws of Love of the Eternal Kingdom; but it will be a constant source of destroying the soul within. Satan and his demons know what was the destiny of Humanity, and that is what made him so PRIDEFUL and WRATHFUL towards God, the Father of Creation. So their main goal, while we roam this earth, is to destroy, tarnish, kill all of humanity to prove that the Perfect Almighty God, the Father of Creation, was mistaken….made an error about Humanity. Can you imagine that Lucifer (who became Satan, after allowing for his own Pride and Wrath to take over him) was trying to prove his Creator wrong? Has the Creation ever known more than its Creator? NEVER. But this is what he and his demons are trying to do, and convince Humanity, that God made a mistake in the things of this world….about the Life Example of Jesus Christ, in that breaking away from the things of this world is not necessary…..while God says that it is. For such souls that fall into Satan and his demons’ traps, they end up losing it, and needing to keep on feeding Satan’s demands of them, for the price of earthly riches. God, the Father of Creation said that His Ways do not conform to the ways of the world, but are beyond them; and He meant that. This is what He showed us through Jesus Christ, His Son. So the minute, we hand over our lives to shackling it for the sake of earthly riches, God, does not allow for such a soul to return, unless such a soul recognized the authority that He has created that soul; and the His Son Jesus Christ’s Life Example, is the way of the Eternal Kingdom. It is a path that is less travelled; so it is not as easy, fun-loving, or earthly rich life…but it is a life that is peaceful to the soul; and provides rest, whenever shielded by God, the Father of Creation. This is what Jesus Christ showed us on the Cross at Calvary. Just as God instructed the Jews in Egypt about putting the Lamb’s Blood above their doorways in order to protect them from the plague of the Angel of Death to attack the homes of those that violated God’s Divine Laws of Love, back then….Jesus Christ, became that Lamb for Humanity, and the Blood that He shed at the Cross is that very covering that God had given to Humanity. The very name of Jesus Christ makes Satan and his demons shiver in fear, because they did not know of God’s Plan, to counter his attack. That is why those that live under the blood covering of Jesus Christ, are fully protected and bound towards the Eternal Kingdom. Satan and his demons do not want humanity to know about this, because they know that the more that Humanity knows about this, the less souls they can take away from God. This is why evil makes their ways so easy and pleasant, so that the path less travelled is taken by those who are weak and vulnerable to its ways. The path to the Eternal Kingdom is a hard one, and requires a lot of endurance and to undergo many trials, in order to defeat the sinful human nature, to which evil is correct in thinking…saying….and believing that is NATURAL. Once Satan introduced sin to humanity, at the Garden of Eden to Adam and Eve, that is when the 7 Deadly Sins became NATURAL to human nature; otherwise God, the Father of Creation did not create for humanity to be weak to them…but to resist them. He only wants the strong, and those that are wholeheartedly believe in the Divine Laws of Love. The Ultimate Symbol of Unconditional Love is what Jesus Christ showed us on the Cross, at Calvary. It is selfless kind of love, not a self love. That is the extent to which God went to show His Love for Humanity, to make His Son the Sacrificial Lamb, to become the blood covering for humanity. Evil does not want people to know the extent of its plans to destroy humanity, which is why it has to constantly scheme and plot to get its own agenda done…..for its own personal gain…for their self love. And in order for it to get its agenda done, they need to deceive and be untruthful in the process. With those that have taken on the blood covering of Jesus Christ, God, the Father of Creation has given them the wisdom to discern the deception of evil; and they are guided by the Holy Spirit, under the blood covering that Jesus Christ provided on the Cross at Calvary. This is what I have come to understand as the meaning of the Holy Trinity. Evil will not allow for such a soul to rest….or to continue to the good fight against it…because that would mean that it would risk awakening the souls that do not know of such things…for those that knew…and still chose to go against the Divine Laws of Love…..God, gives them till their last breath on this earth to repent in front of Him…that is the extent of Unconditional Love that God, the Father of Creation, has for humanity. But once that last breath is taken, that person’s time is up. 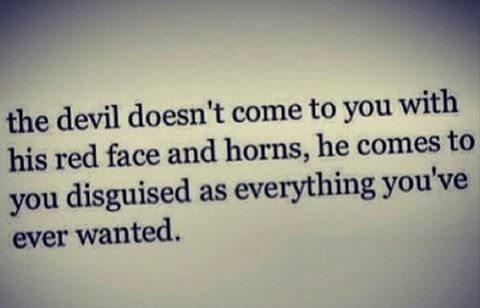 Don’t you think that Satan and his demons know this? Of course. So, they will try anything and everything to get people off of this path….because that would mean this people will not be susceptible to their tacts…and it will keep them out there to awaken and enlighten those that are in the dark. So Satan and his demons will continue to torture, test, and even abuse those that are on the path of the Divine Laws of Love, in order to get that fight out of them…..so that these souls can succumb to rebelling against the Divine Laws of Love….Satan will use anyone and any circumstance that he can manipulate to his agenda, in order to achieve this. If he can never enter back into the very presence of God’s Throne Room…then no one else can never enter either. We must be vigilant my brothers and sisters, over the very souls that God, the Father of Creation gave us. They are worth more than any precious gem or metal on this earth…..more than any car or home….or even the finest silks in the East. A souls that is Heaven Bound is a soul whose value is priceless in the Eyes of God, the Father of Creation and to Satan….All you have to do is look at the price each paid to get your soul…..
Satan: _______________________ (BLANK) Can not think of anything…. GOD BLESS, AND MAY JESUS CHRIST FIND US WORTHY TO ENTER INTO THE ETERNAL PARADISE. KEEP UP THE GOOD FIGHT, IN UPHOLDING THE DIVINE LAWS OF LOVE (WAYS OF UNCONDITIONAL LOVE, MERCY, AND NONVIOLENCE). This entry was posted in Thoughts and tagged Armor of God, Battling Evil, Blood Covering at the Cross, compassion, Devum, discernment, Divinity professes selfless love, enduring trials, Evil, Evil professes Self Love, evil ways are temporary, Faith, Fight over souls (good vs. evil), God's Love, God's ways are permanent, God's Wrath, Good vs. Evil, Guidance of Holy Spirit, Holy Spirit, Jehovah, Jesus and His Crucifixion, Jesus Christ, Justice for "the Just", Leading of the Holy Spirit, Listen for God's Call, Overcoming Trials through the Holy Spirit=God's Divine Tools for Ministry, Path to Truth, Persecution, Refiner's Fire, Satan, Satan's deception, SELF LOVE vs. SELFLESS LOVE, Self Refinement, Spiritual Battles, Spiritual Journey, Steadfast Faith, Take up your Cross, Trials and Tribulations, Unconditional Love, Yahweh, Yeshu Christu, Yeshua, Yeshuay on December 23, 2016 by foodforthespiritualsoul. When we are seeking the path to Truth, we are seeking a way of life that is to turn away from ways that leave us shackled. As human beings we seeks a way of life that is free. What is more free than to believe in a God, the Father of Creation, to which He says His Ways are not of this world’s but beyond them. All He asks is to bring a heart that is totally in accordance to His Divine Laws of Unconditional Love…which brings a life, that no living mind…soul…or heart could fathom on its own, but only a soul that is lead by the Holy Spirit has taken root within, as connection to the Divine Father of Creation, can. A heart that loyally seeks the Truth of the Father of Creation is a heart that is truly free…that is truly unshackled from the ways of this world to which are not divine in nature. When we go through our trials on this earth, in breaking ourselves from the ways of this world, to which the Father of Creation said His Ways are beyond….God’s reveals to these children who undergo the trials and still faithfully seek them, a portion of His Divine Wisdom. Hence the more we seek the Divine Truth, the more earthly trials we will face….and the more we seek His Divine Countenance, the more of His Divine Knowledge He will reveal, with the Guidance of the Holy Spirit. He will show you what He sees of this world; and how His Children should remain in accordance to the Divine Laws of Love. The knowledge we gain…the good and the bad, God makes it very clear, that we will be held accountable for, in the reflection of our own lives. As human beings we may fall, however, if we claim to know the Path of True, we would repent wholeheartedly for the moment of weakness. Because we know the authority of the Father of Creation…we know of His Greatness…His Divinity…and His Uncondtional Love for Mankind. Brothers and sisters, if someone is caught in a sin, you who live by the Spirit should restore that person gently. But watch yourselves, or you also may be tempted. 2 Carry each other’s burdens, and in this way you will fulfill the law of Christ. 3 If anyone thinks they are something when they are not, they deceive themselves. 4 Each one should test their own actions. Then they can take pride in themselves alone, without comparing themselves to someone else, 5 for each one should carry their own load. 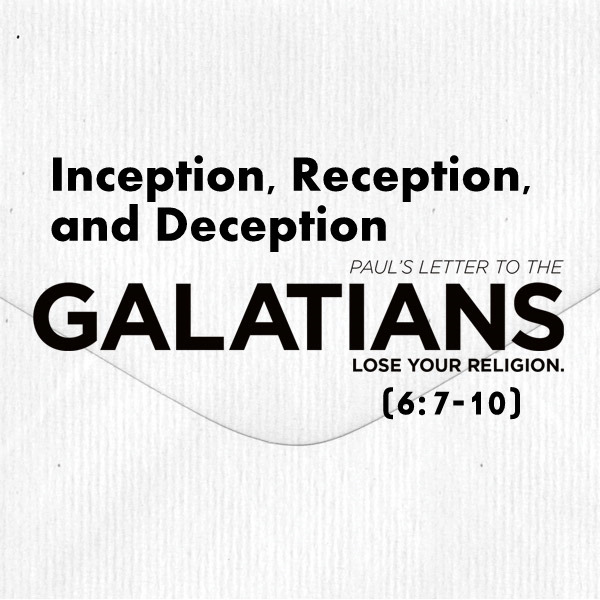 6 Nevertheless, the one who receives instruction in the word should share all good things with their instructor. This entry was posted in Thoughts and tagged Armor of God, Battling Evil, compassion, Devum, discernment, enduring trials, evil ways are temporary, Faith, Fight over souls (good vs. evil), God's Love, God's Promise, God's ways are permanent, Good vs. Evil, Holy Spirit, Jehovah, Jesus and His Crucifixion, Jesus Christ, Leading of the Holy Spirit, Overcoming Trials through the Holy Spirit=God's Divine Tools for Ministry, Path to Truth, Satan, Satan's deception, Self Refinement, Spiritual Battles, Spiritual Journey, Trials and Tribulations, Unconditional Love, Yahweh, Yeshu Christu, Yeshuay on January 9, 2015 by foodforthespiritualsoul.